Window replacement is a big investment, so you want to be sure you’ve chosen high-quality products that will improve your home in meaningful ways. In short, you want your windows to be as beautiful as they are functional. Today’s blog from trusted window replacement company Renewal by Andersen® of Cincinnati, explains how our innovative Fibrex® frame material takes our windows to the next level. 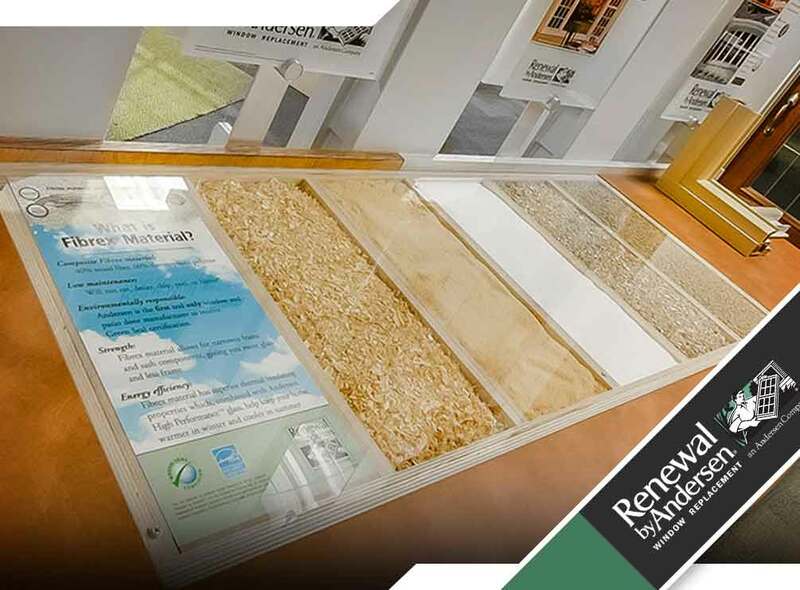 Fibrex is an Andersen®-exclusive window frame material composed of 40% reclaimed wood fiber and 60% proprietary polymer. Renewal by Andersen has earned over 30 patents just from the manufacturing process of Fibrex alone. The environmentally friendly mix of polymers and recycled wood fibers allows Fibrex to remain insulated no matter the weather in Cincinnati. With Fibrex, your replacement windows are better equipped to handle constant exposure to the elements without developing wear and tear. Fibrex combines the durability of wood with the low-maintenance nature of vinyl. Unlike other window frame materials, Fibrex won’t flake, rust, crack, peel or corrode, whether in the biting cold or in the blistering heat. Fibrex is also beautiful. A variety of fade-resistant paints can be permanently applied so you don’t have to worry about the costs and the hassles of repainting. You have the option to choose between different colors for your interior and exterior windows. Fibrex windows are easy-to-maintain, energy-efficient and weather-resistant. They strike the perfect balance between elegance and practicality. Choose Fibrex for windows you can enjoy for years to come. As Cincinnati’s premier window contractor, Renewal by Andersen is committed to providing excellent materials and services that will suit your needs. For more information about what we can do for you, call us at (513) 283-8981 for a free consultation. We work with residents of Cincinnati, OH and beyond.